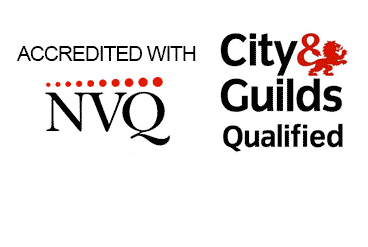 Domestic electrician in Worcester. Replace your old worn out shower with a new Triton or Mira shower. Modern showers are energy efficient and produce a better flow rate giving a more powerful shower. We can also install a new shower circuit and update your existing power supply to the shower, to meet with current BS7671 regulations. An on site survey to assess the existing electricity supply, RCD (Residual Current Device) and main bonding will be required before a final quote can be given. We are working with one the the best energy saving lighting companies in the U.K to produce a recessed lighting system that is energy efficient and discreet. We use dimmers combined with LED light fittings to produce a massive saving in electricity (over conventional 50W halogen recessed lighting). This new system is ideal for kitchens, hallways and bedrooms. If you would like a light fitting changed for a new one it is very important that your existing lighting circuit can take the new additional load. Before you buy your new light fittings we can arrange a visit to access your existing lighting circuit and consumer unit. Modern light fittings can then be installed safely. We also can replace your existing switches for dimmers to help with controlling your electricity bill. LED Energy efficient security lighting controlled by dusk to dawn and P.I.R sensors. We combine security lighting with decorative lighting that will be energy efficient and discreet. We also install dimming units to control exterior lighting as well as control systems for gate entry onto your property. Most houses are wasting allot of electricity with inefficient light fittings. You can save up to 75% of your lighting electricity bill. Call for more details. If its just an extension to an existing circuit, complete re-wire or new build electrical installation we can install sockets, shower circuits, radial supplies to out buildings and garden power sockets. 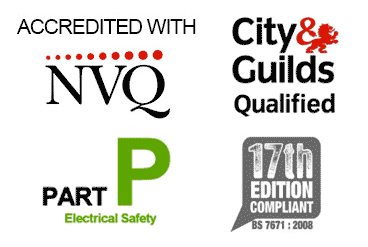 All our electricians are approved and qualified to install to meet part P and 17th edition BS7671 standards. If you have damaged socket outlets or cabling we can supply and fit new products within twenty four hours. If you are concerned about the electrical safety of your electrical installation please arrange an electrical safety inspection. The fuse board or consumer unit needs to be up to date to satisfy the current BS7671 regulations and Part P of the building regulation. We install metal RCD/MCB consumer units with RCBO protection when it is required. If your consumer unit has fuses or fuse wire then it is time to consider replacing it for a modern consumer unit with RCD protection. RCD’s (Residual Current devices) are sensitive trip switches that protect us all from electric shocks and electrocution. They are now installed in all new electrical installations on the majority of circuits. Smoke alarms help save lives every year. We can install a complete interlinked smoke alarm system including carbon monoxide alarms in your home to give you peace of mind. If your existing smoke alarms are faulty we can repair or replace your existing system. Good ventilation is important and the building regulations demand ventilation using extractor fans. We offer a range of extractor fans and can replace your old noisy extractor fan for a new efficient quiet extractor fan.